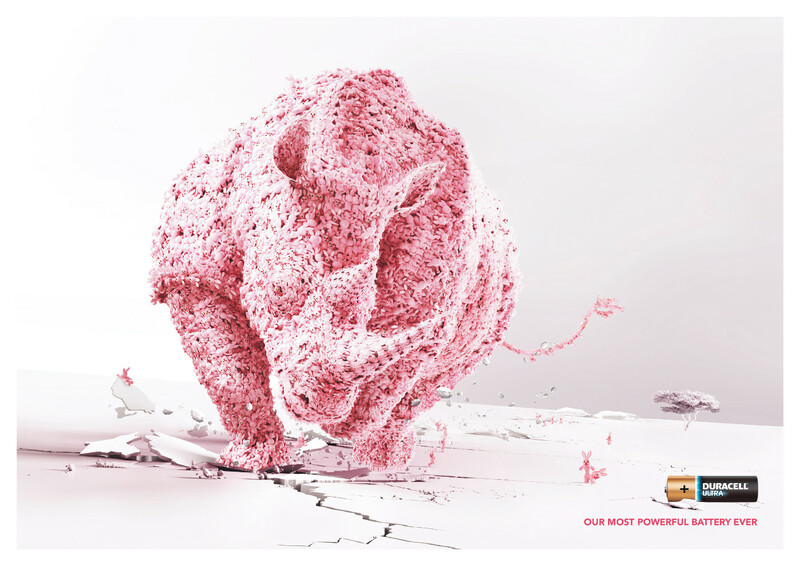 Duracell’s most powerful battery yet, the Ultra, is displayed in this French print advertising campaign as the combined effort of many pink bunnies, the Duracell icons. 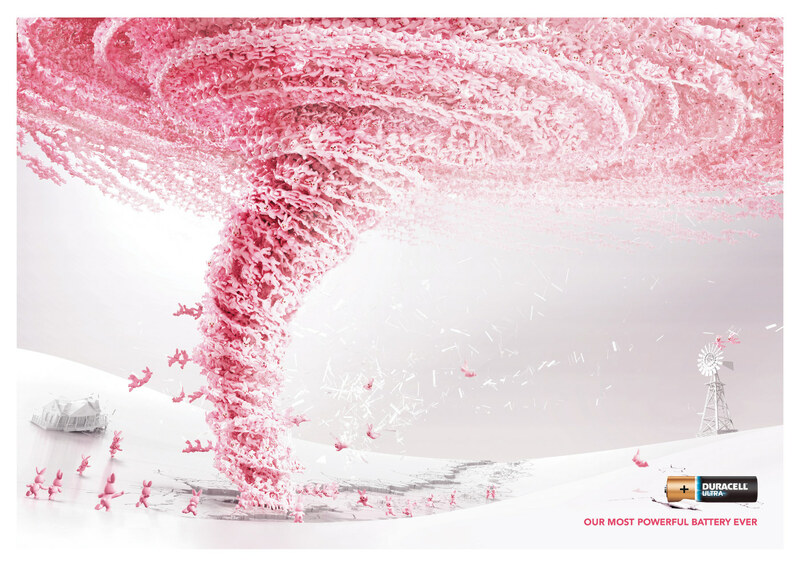 Together they can make a pink sumo wrestler, a pink rhino and a pink tornado. 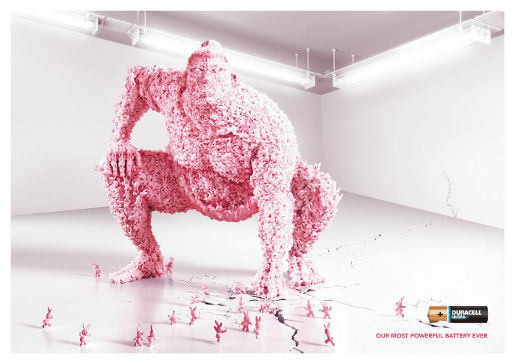 The campaign is picking up viral recognition with “Fusion”, a televison commercial bringing together the pink bunnies in a tornado, sumo wrestler, elephant and train. The Strongest campaign was developed at Ogilvy France, Paris, by creative director/copywriter/art director Nick Hine, copywriters Chris Garbutt, Miamiadschool, art director Antoaneta Metchanova, art buyers Laurence Nahmias and Corinne Hamel, with illustration by Mecanique Générale. The commercial was produced at Chuck & Lulu, Paris, by digital art team Pleix (graphic designers, 3D artists, and musicians), executive producer Edward Grann, line producer Katharina Nicol, post producer Sebastian Gros at Digital District, Paris. Music was produced at Apollo Studios, Montreal.